Animals (creatures) from the Star Wars universe have always been among my favorite aspects of the saga. Some are loyal and brave, others are treacherous and dangerous. Some look like prehistoric animals and others were derived from mythology (check out the series of previous blogs). 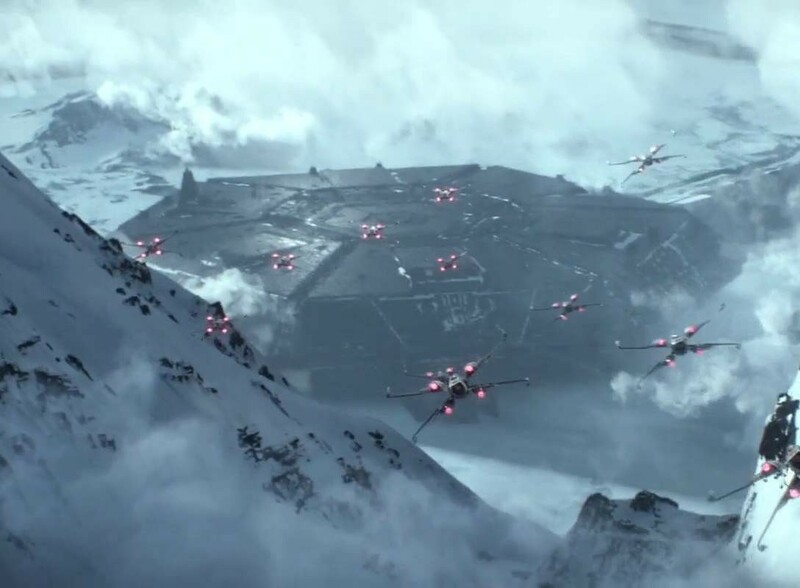 There can be no Star Wars movie or television series without the presence of some cool creatures. When Kenner was developing its most successful line of toys ever, they must have shared this idea. 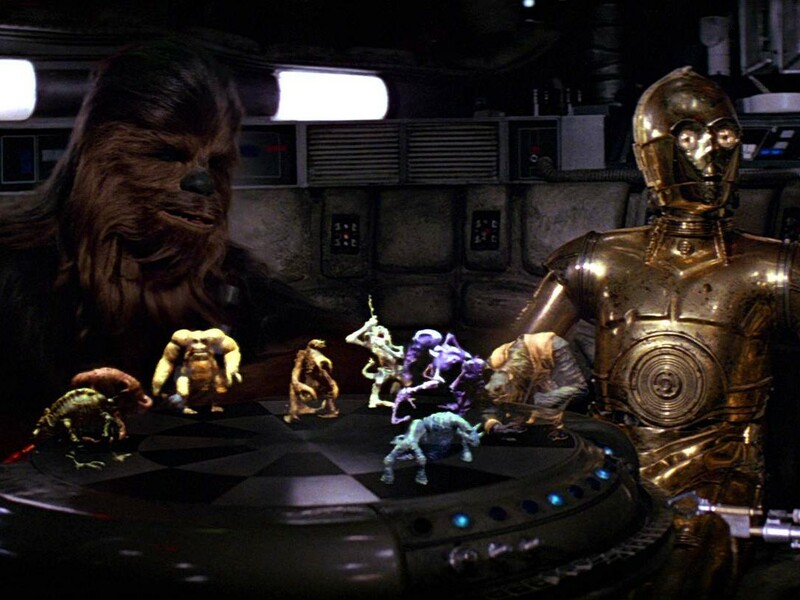 While technology during the classics didn’t allow George Lucas to portray some of the creatures like he had intended, the classic trilogy features some of the most beloved Star Wars monsters. Kenner didn’t make many creatures, but the ones they did really mattered. Dianoga (1978): Technically the Dianoga was the first creature Kenner released. 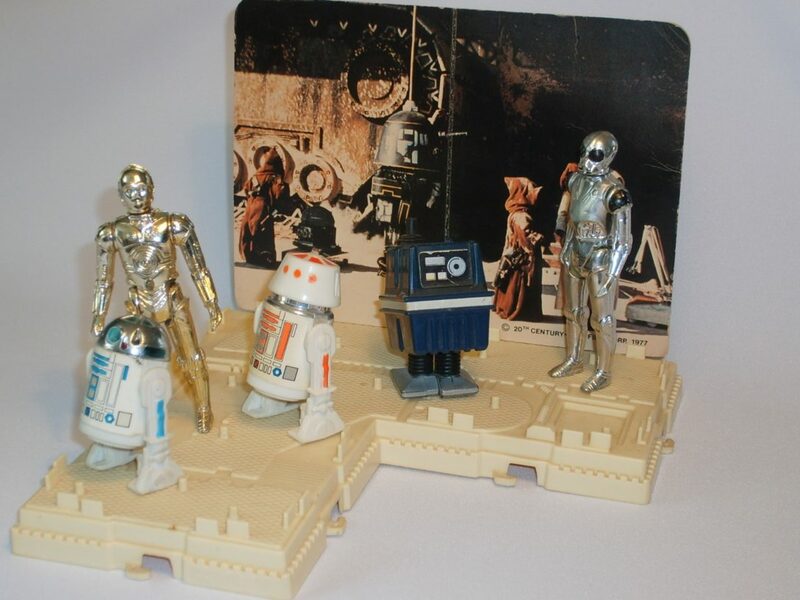 It was included in the Death Star Space Station playset, which was only released in the US and Canada. The Kenner Dianoga is rather odd. It’s made from green plastic and while it does feature an eyestalk, it differs a lot from what latter Dianogas would look like. It’s got two fin-like limbs and two other tail-like protrusions. You can also see its mouth at the front of its body. The creature was never released separately — you could only get it with the Death Star Space Station. 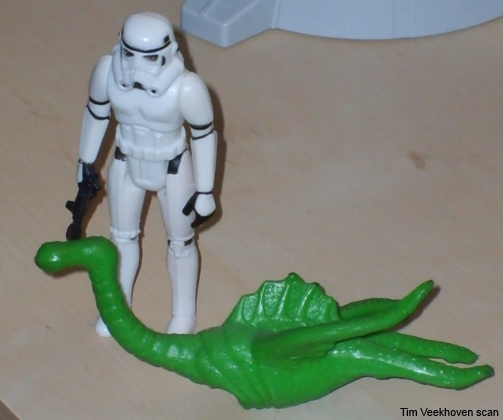 Patrol Dewback (1979): This omnivorous reptile from Tatooine was hardly noticeable in the original edition of A New Hope, but Kenner decided to make a toy of it. The mannequin, used for the Dewback during the production, was nearly immobile and therefor the creature wasn’t really up to anything except being visible in the background. Since Kenner had decided to limit the articulation of the figures to five points, the Dewback presented the designers with a major problem. How was a figure going to sit on its back in a more or less realistic manner since Star Wars toys did not bend at the knees? The designers came up with a brilliant idea: They made a hole in the back of the Patrol Dewback so the figure would actually be standing inside the toy. A saddle was molded so it seemed to include the legs of the figure, sitting on the creature. The Dewback came in a rectangular box that showed the reptile on patrol with some Stormtroopers (Kenner never made a proper Sandtrooper). Luke, Ben Kenobi, and the droids are lurking in the background behind some rocks. The side of the box shows a kid playing with the Dewback and lists its action features, including a removable saddle, moving legs, the ability to position a figure on the creature and the possibility to move its head when moving its tail. A photo of the Dewback from the movies, which was never seen this close in the final film, was also printed on the box. The Dewback is a very plain item, but its simplicity makes it remarkable and unique. Kenner had no immediate plans to create the Bantha, so the Dewback was the only creature you could buy separately during the first years of Star Wars toys. In loose condition, the creature’s rein and saddle are sometimes missing or they have been damaged. 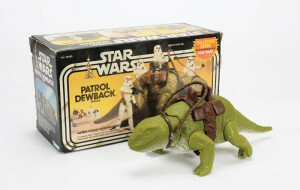 In 1984, the Patrol Dewback was reissued as a Collector Series. Many fans in Europe had no clue that this toy existed during the vintage years. Tauntaun (1980): Was there anybody who doubted that Kenner would make a Tauntaun toy? Since Kenner had already invented the riding-mechanism for the Dewback, the Tauntaun shared a similar “trapdoor in the back” feature. It came in a rather smallish box that showed Han riding a Tauntaun. You can also see Princess Leia with her Senatorial gown from A New Hope on the box since “Leia in Hoth Outfit” wasn’t released yet. The back of the box shows different play options for the snow-creature, which were very similar to the Dewback. 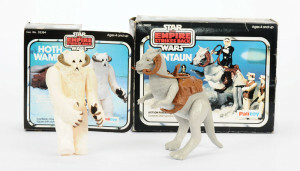 The Tauntaun had moving limbs, as well as a removable saddle and a removable rein — two items which Kenner didn’t properly make. The plastic was too thin and the saddle were prone to breakage. 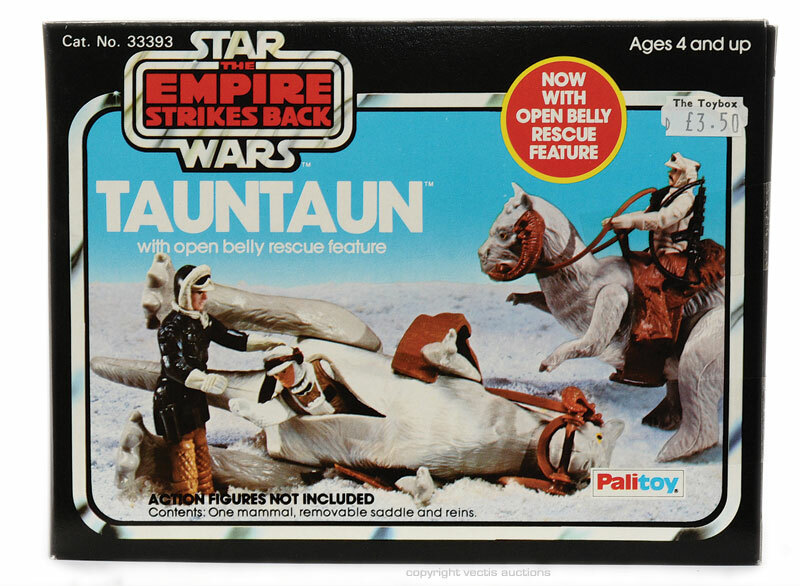 Tauntaun with open belly rescue feature (1982): Kenner did release yet another Tauntaun. The second Tauntaun came in a different box showing Han rescuing Luke (Hoth) by putting him in the belly of his dead Tauntaun. 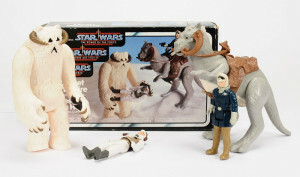 The play options of the toy are shown on the side of the box and the back shows several scenes with Tauntauns. The major difference is that this creature came with a soft rubber belly that you could use to put a figure inside. This scene was already pretty awkward in the movie, but releasing it as a toy? Luckily the Tauntaun didn’t include any intestines (the modern Hasbro one did). 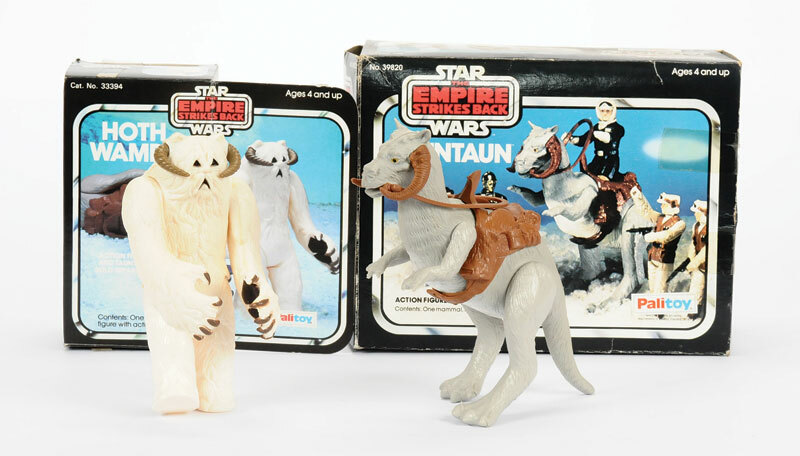 Another difference was that Kenner made the saddle straps a bit thicker than with the previous Tauntaun. (Hoth) Wampa (1982): Forever immortalized by the Kenner commercial where a kid is playing with the Wampa and is screaming: “Wampa, Wampa, Wampa, …” all the time. If Kenner released the Tauntaun, they had to release its archenemy: the Wampa! The Hoth alpha predator was sold in two different rectangular boxes with a flap on their side (a bit similar to the boxes of the Mini-Rigs). The first one shows the Wampa carrying a Rebel Commander figure to its lair, while the second release (that labeled the toy as ‘Hoth Wampa’) had the creature dragging Luke Hoth along like in the movie. The Wampa (measuring 15 centimeters / 6 inch tall) features two great play options, shown on the back of the box. It has spring-loaded arms that can knock out a figure or even a Tauntaun and its rider! And it holds a figure between its stretched arms or in its paws. 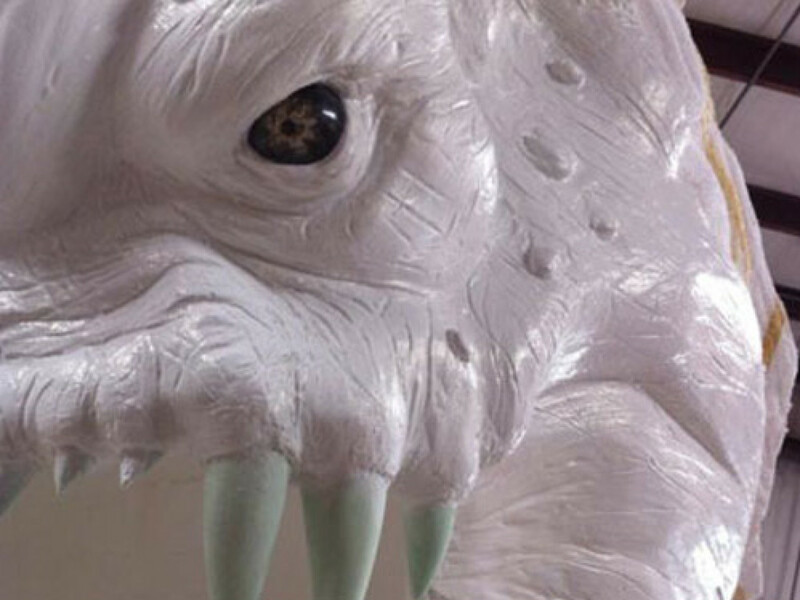 The Wampa isn’t difficult to find, yet a lot of the creatures’ plastic has turned yellow through the years. 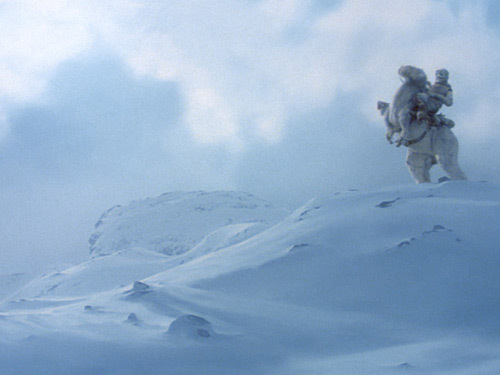 Finding a white Wampa may be more difficult. Just like the Tauntaun (with open belly), the Wampa only became available in France in 1984. Rancor Monster Figure (1984): The Rancor was by far the largest vintage creature released by Kenner. 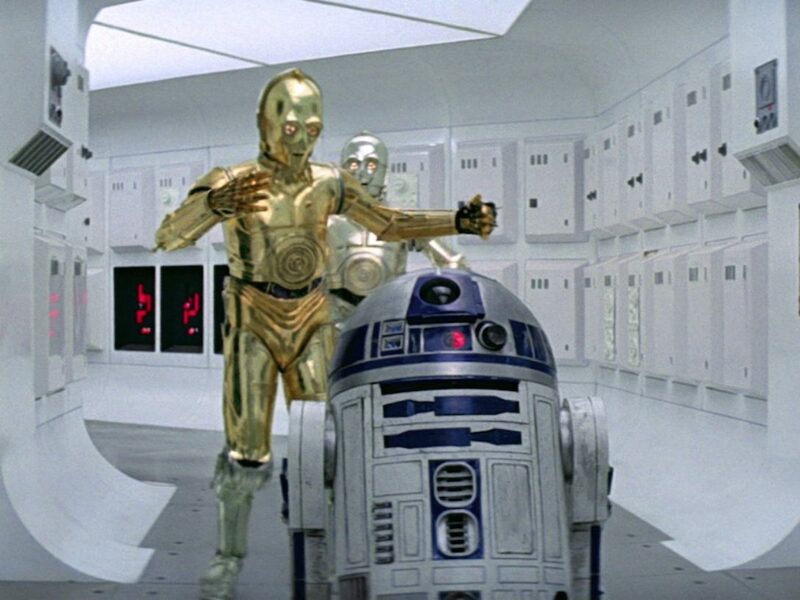 It was also an important adversary for Luke Skywalker to defeat during his hero’s journey. Still, Kenner waited until a year after Return of the Jedi was released to produce Jabba’s favorite pet. The creature was packed in a box that shows it majestically capturing Jubnuk and already setting its eyes on Luke as his next meal. The creature’s options were shown at the back. 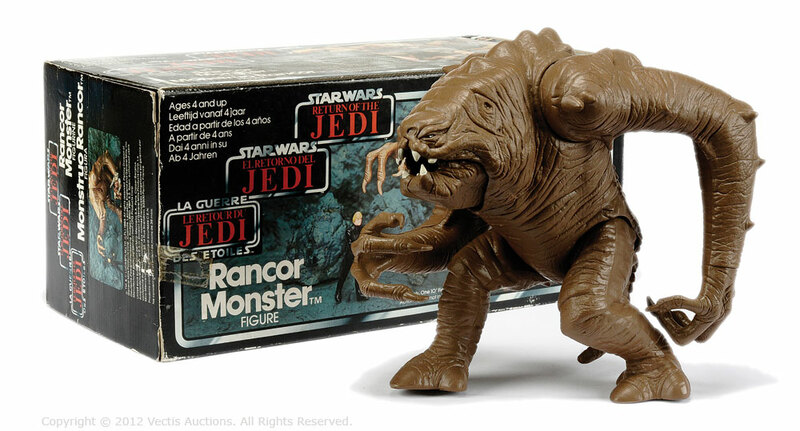 The Rancor was packed in a different box in Europe. The Trilogo box is much more rectangular, but also features the play options, the creature (obviously), Jedi Luke, and a Gamorrean Guard. The Rancor is one big mean adversary for your action figures since it stands 9 inches / 23 centimeters tall. It’s got moveable limbs, moveable wrists and it’s mouth can be opened by pulling a trigger on it’s back. Beware of the fact that smaller items and even figures (like a Jawa) can be swallowed by the Rancor. Just like the Wampa, the Rancor has spring-loaded arms to attack his enemies. The Rancor’s hands can easily hold a figure and its balance is perfect. Hoth Rescue (1985): Hoth Rescue was one of three rare European Trilogo Power of the Force playpacks. The box included a Wampa, a Tauntaun (open belly), Luke Hoth, and Han Hoth. 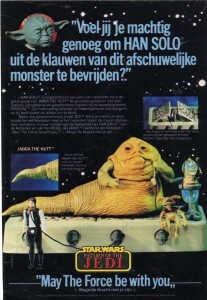 The toy was a closely guarded secret by Lucasfilm and Kenner since they didn’t want the audience to see Jabba before the movie was released. 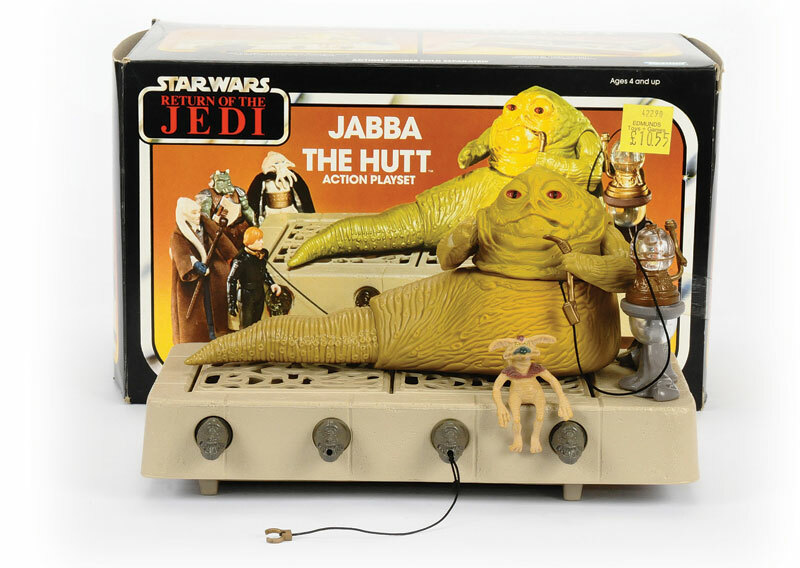 The rather large box shows Jabba and his minions with a captured Luke Skywalker. It also should be noted that the figures photographed for the box are prototypes. You can notice that by Squid Head’s dark cloak. The side of the box shows the play options. Also note that there exists a line-art box, issued by Sears. 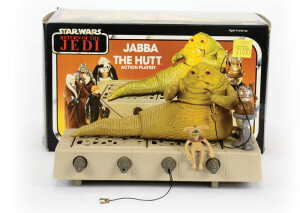 Jabba the Hutt Action Playset consists of Jabba himself, his throne, and Salacious Crumb. Salacious is a small, non-movable figure that can sit next to His High Exaltedness, ready to laugh at the horrible fate that awaits Jabba’s prisoners and enemies. Jabba’s toy throne also functions as a dungeon. The throne has gates, but when you open them (by turning two of the Abyssin Ornaments at the front) you can see a dungeon with skeletons and vermin. Normally Jabba sits upon his throne, so there is no escape for the poor victims. One of the Abyssin Ornaments has a cord that allows you to chain a figure to the throne. 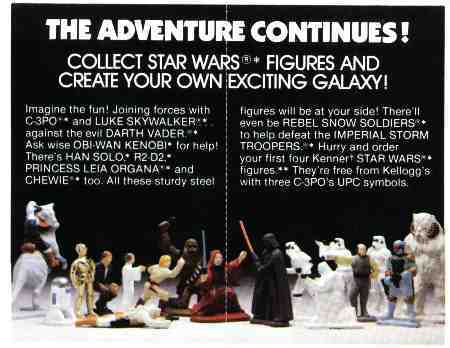 Since Kenner never released Oola or Leia in her slave outfit, it’s anyone’s guess what action figures a kid would prefer to be imprisoned. On Jabba’s left side the throne also has his food bowl and the Naal Thorn Burner, used to burn liquids for Jabba’s hookah. The hookah is attached to the device and Jabba can hold it in his hand and stick it in the corner of his mouth, pretending to be smoking. The Naal Thorn Burner is removable and may easily get lost, especially a small “chimney” that is yet another removable part. Many loose Jabba playsets don’t include that particular item, so you might want to check that out (though it’s often sold loose). Jabba himself is really well-made. He’s detailed, he’s got great looking eyes, and he even sports his Desilijic Kajidic tattoo on his right forearm. His head and tail can move when you move the other part. His arms are also movable. As mentioned before, finding a Jabba set in loose condition isn’t that hard, but finding a complete loose one, may be a bit more difficult. Kenner made several of the most famous creatures from the classic trilogy, but they could have made a few more, especially the Bantha. Kenner did have plans to produce a Bantha since there is evidence of a concept artwork, made in 1985. Unfortunately, Kenner would soon stop making Star Wars toys and the Bantha would only be released in Hasbro’s Power of the Force II line. Thanks to The Star Wars Collectors Archive and The History of French Star Wars Merchandising &; Marketing, 1977-1986. Tim Veekhoven (Sompeetalay) from Belgium does research for the Rogues Gallery feature in Star Wars Insider under the supervision of Leland Chee. 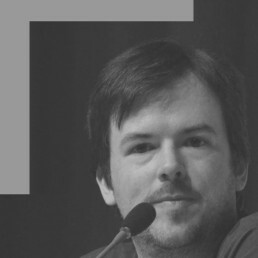 He’s president and co founder of TeeKay-421, the Belgian Star Wars Fanclub, he’s an administrator for Yodapedia, and has written four back stories in ‘What’s the Story?’.